September 27th, 1979 is a day that I will remember forever. 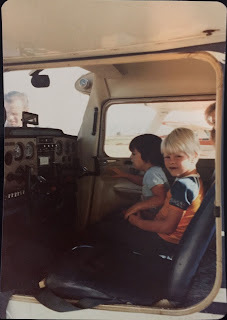 It was the day I first took to the air on my 7th birthday in Weiser, Idaho. 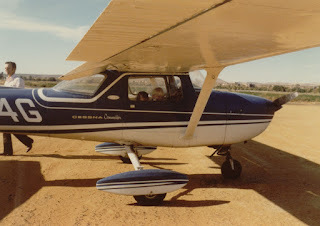 My parents were building a new home on the outskirts of town and the contractors working on the project were pilots that owned a Cessna 150 Commuter. My parents put a blindfold on me and loaded my sister and me into the car for the short drive to the airport for the big surprise. When we arrived and they removed the blindfold I was so excited to see all the airplanes at the airport. 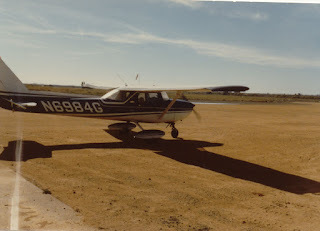 In these photos the airstrip in Weiser looks to be dirt in 1979 as we taxi out for my very first airplane flight. This is a photo of my sister KayT. and me and our first time to get to sit in an airplane. I was 7 and she was 4. It was so exciting! 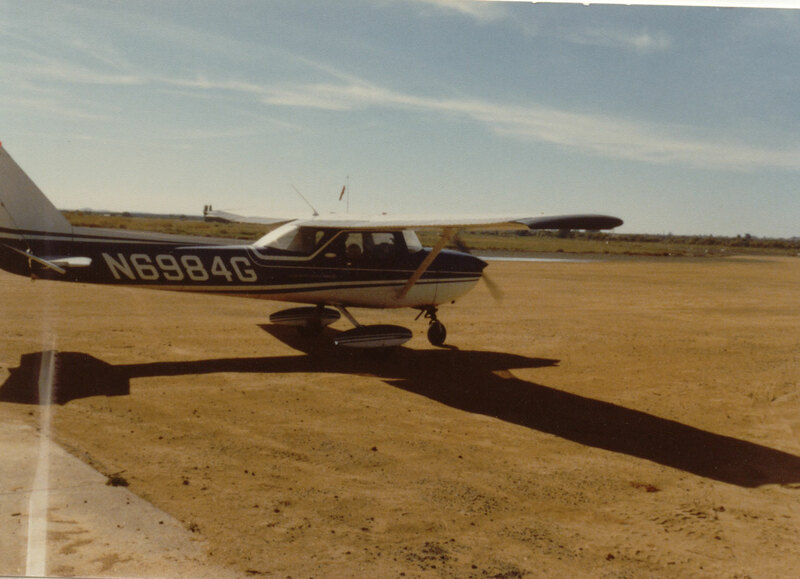 You can see the pilot checking the oil during his pre-flight in the background. The pilot doing his pre-flight while Tad & KayT. are enjoying sitting in the airplane. After taking off from the strip we flew over downtown Weiser, Idaho. The pilot asked me if I was enjoying the flight and I'm sure he knew that I was from the smile that extended from ear to ear. It was amazing to see the town below with all the streets and buildings so organized on the grid below. I could tell that we were flying towards our house and I was so excited to see it from the air. As we neared our house the pilot began to climb to a higher altitude. Once at a safe altitude he began to slow the airplane down. He pulled back on the yoke until the wings began to shudder and then kicked in some left rudder just as the wings began to stall. The left wing dropped as the little plane entered a perfectly controlled spin. The house was directly below us spinning around and around. The pilot recovered from the spin and leveled out from the dive and then asked me if I wanted to do it again. I was ecstatic and said, "Yes!, Yes!, Let's do it again!" So we climbed back up to altitude for a second spin over the house. 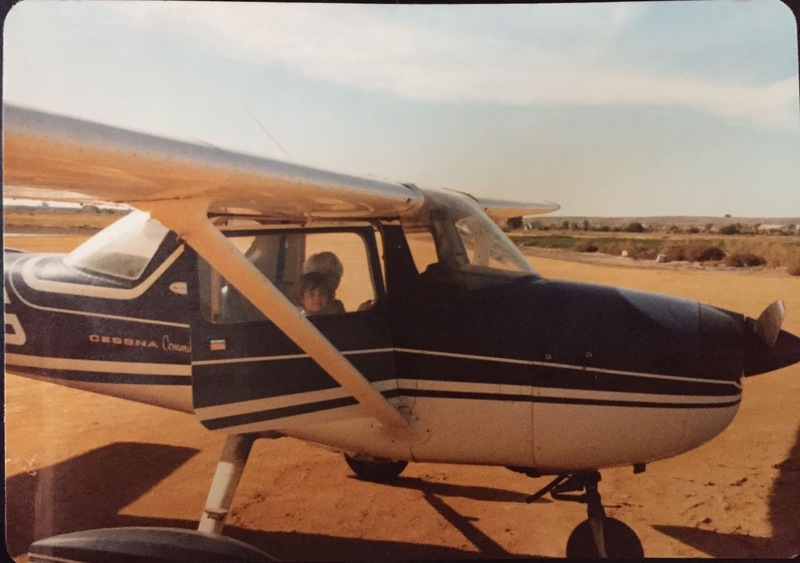 I wanted to stay in the air forever! 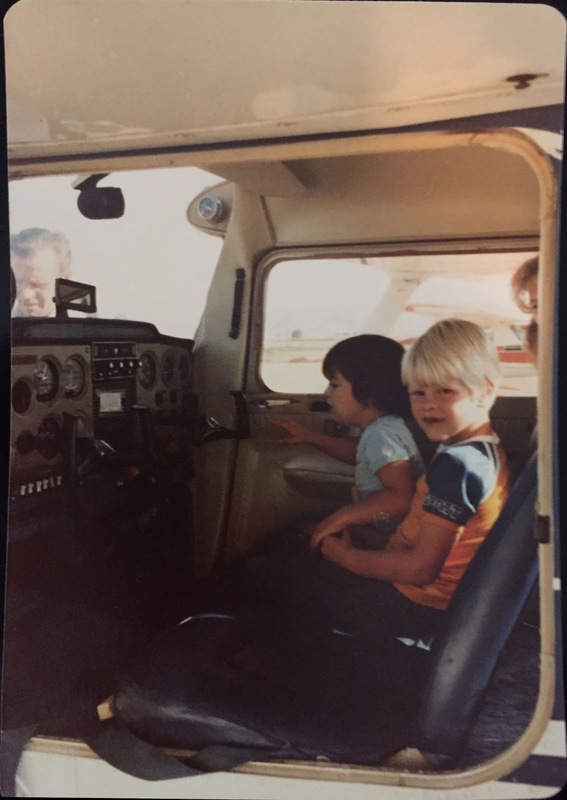 The pilot said we needed to get back to the airport to give the others a chance to go on a flight too. It was one of the best memories of my childhood. 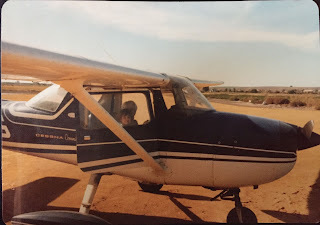 I knew that someday I would become a pilot.